Mahindra XUV300, the first proper urban SUV from M&M, is finally here. And we got the opportunity to drive it in Goa to test its capabilities and find out all of its positives and negatives. With the most powerful engine lineup in its class, best safety pack, and an upmarket cabin makes the Mahindra XUV 300 an overall great package. Whereas the petrol model comes with a 1.2-litre turbocharged (110bhp, 200Nm) engine, the diesel model gets a 1.5-litre unit that's good for 115bhp and 300Nm. Both the engines come mated to a 6-speed manual gearbox, and no automatic transmission is on offer as of now. Mahindra Marazzo Quick Review in Hindi - Best Mahindra Yet? Mahindra XUV300 vs SsangYong Tivoli - Same Same But Different! 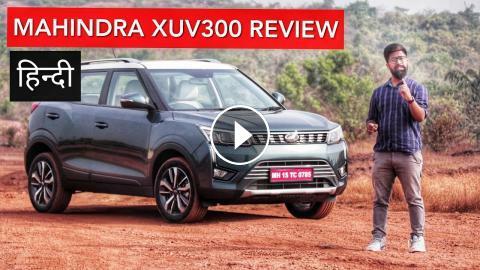 Mahindra XUV300 vs Tata Nexon - Battle Between Two Indians!